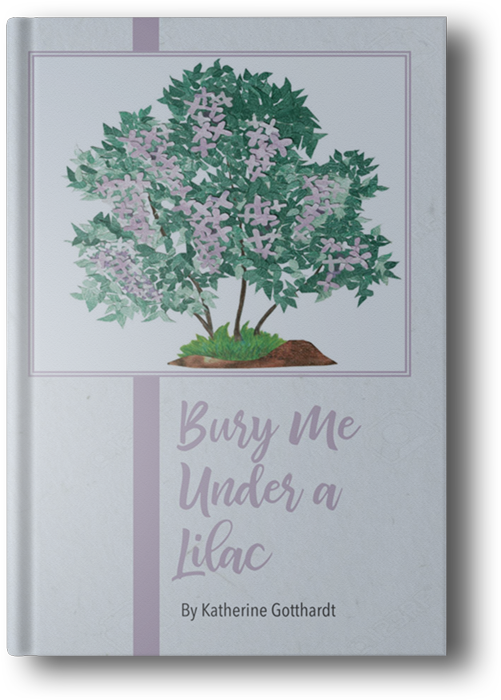 A poetic journey from birth through passing, Bury Me Under a Lilac leaves death not proud, but steeped in the beauty of transformation, a natural movement to the next phase of personal and spiritual evolution. This is Katherine Gotthardt's fifth book in which vivid metaphor, powerful imagery and artistic structure liberate free verse from the expected, while keeping the poems grounded and accessible. "Death is something that is always with us,” she says. “Human beings inherently fear that. We’re supposed to. We have a built-in survival mechanism. But because we fear it, we put this glaze of horror over it that isn’t always necessary. Death itself isn’t always the issue. "While I don’t get up in the morning and say, ‘Hey, today I’m one step closer to the grave! Go me!’ I feel like it’s a natural part of life, another transition." Gotthardt says that’s where beliefs about death become important. Learn more about Katherine Gotthardt's work at katherinegotthardt.com. Katherine Mercurio Gotthardt’s poetry is always rich in word, imagery and emotional awakening. This book is one to savor. Katherine has an incredible ability to harness and expose the emotions that all of us might be too afraid to share. She's soon going to be everyone's next favorite poet. Anything worthwhile leaves a beginning impression that increases with time. In this book, you realize as you progress you find different periods being examined and a greater picture emerges from their totality. The poems are deceptively simple in structure but the ideas covered are complex and interesting. To request Katherine for speaking engagements or workshops, please use the form below.